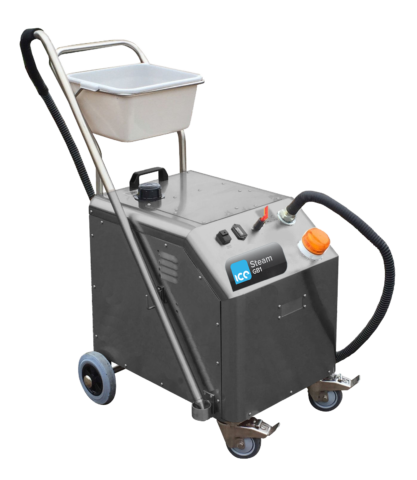 The ICE Steam 4.5 is a commercial/industrial 4.5 bar pressure steam cleaning machine. It is made from a stainless-steel construction, featuring a continuous fill boiler system allowing refill at any time during operation. 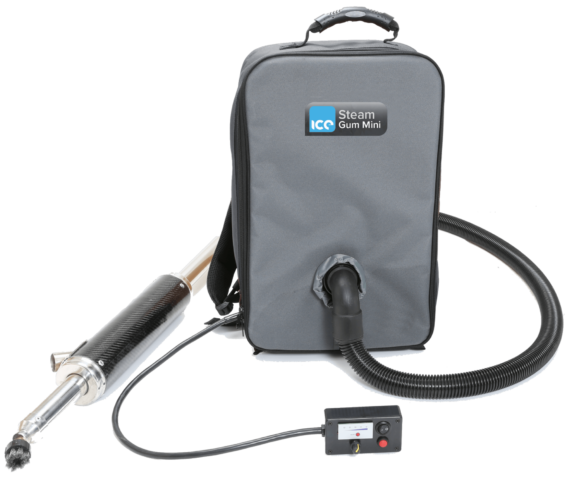 The ICE Steam GB1 busts through unsightly gum deposits effortlessly and in a matter of seconds. With its self contained unit, it can be used during the day and in densely populated areas as required. 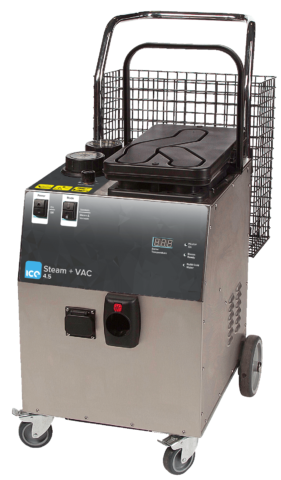 The ICE Steam + VAC 4.5 is a commercial/industrial 4.5 bar pressure steam cleaning machine. It is made from a stainless-steel construction, featuring a continuous fill boiler system allowing refill at any time during operation. 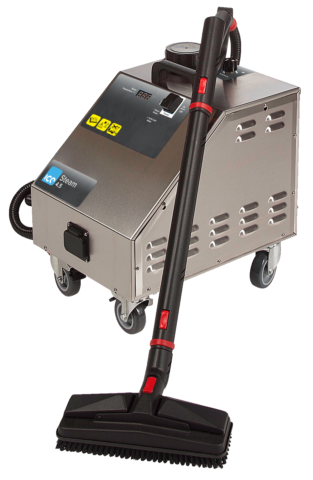 The ICE Steam + VAC 8 is a commercial/industrial 8 bar pressure steam cleaning machine. It is made from a stainless-steel construction, featuring a continuous fill boiler system allowing refill at any time during operation. 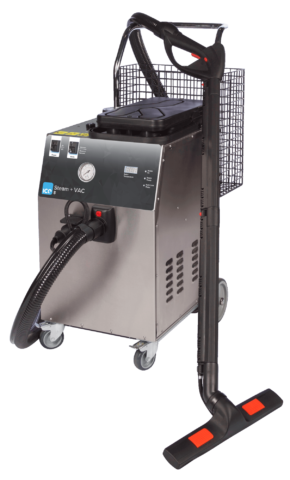 The ICE Steam + VAC GR8888 is a completely self-contained chewing gum removal system available in either 110 volt or 240 volt incorporating a 8 bar pressure steam boiler. 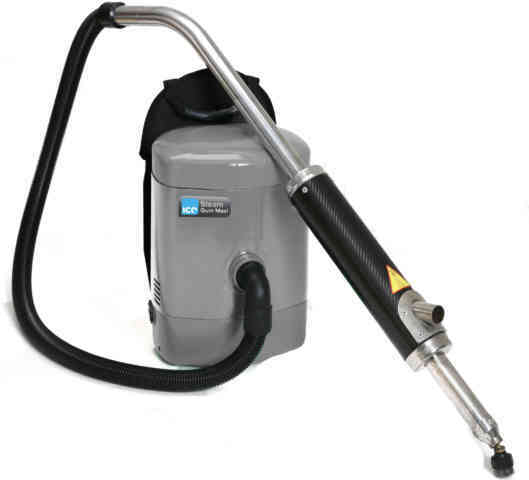 The ICE Steam Gum Mini carbon fibre lance has a built in gas-powered burner, which vaporises the unique, environmentally friendly cleaning chemical. 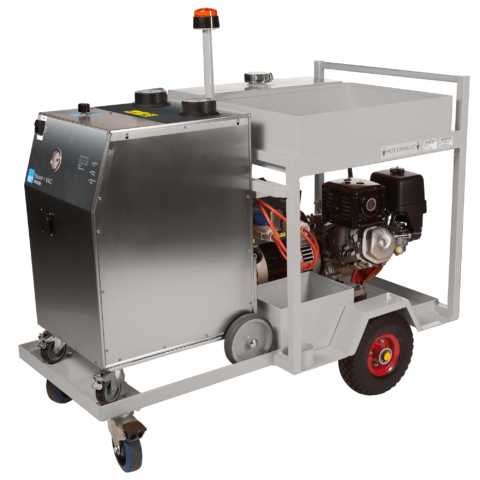 The ICE Steam Gum Maxi eliminates the need for high pressure hoses, unfriendly chemicals and overspray into unwanted spaces. This makes it highly suitable for work in populated, busy areas.